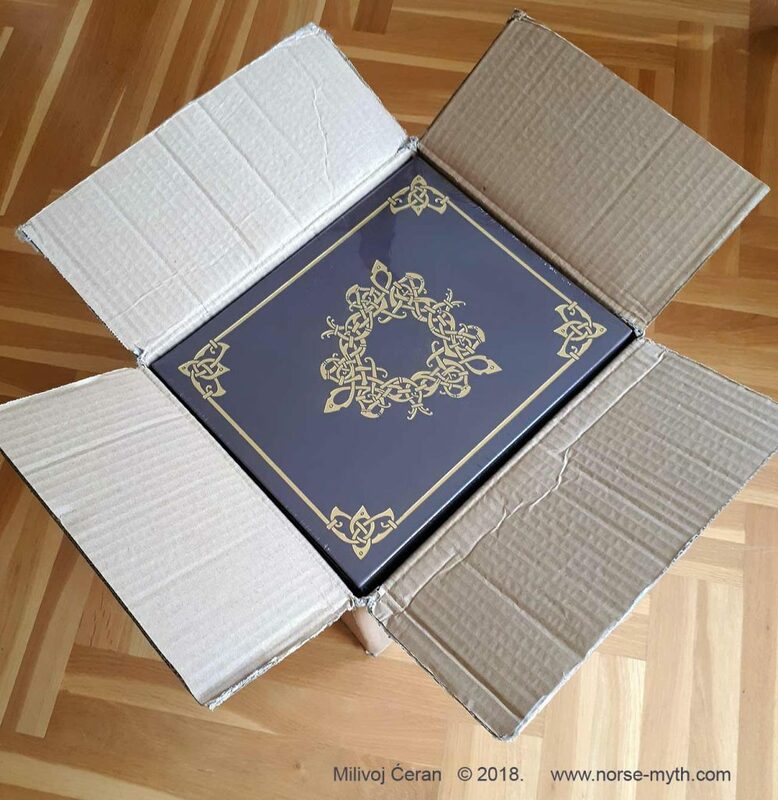 THE NORSE MYTHOLOGY BOOKS FINALLY ARRIVED IN CROATIA!!! I’m very excited, and I want to share my thrill with you! 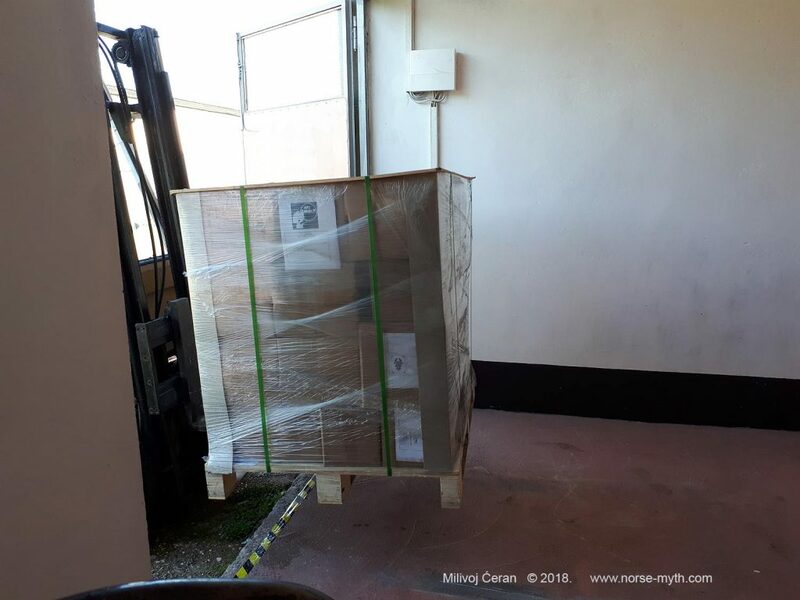 The books are here now! One ton of books, prints, cases and other material! 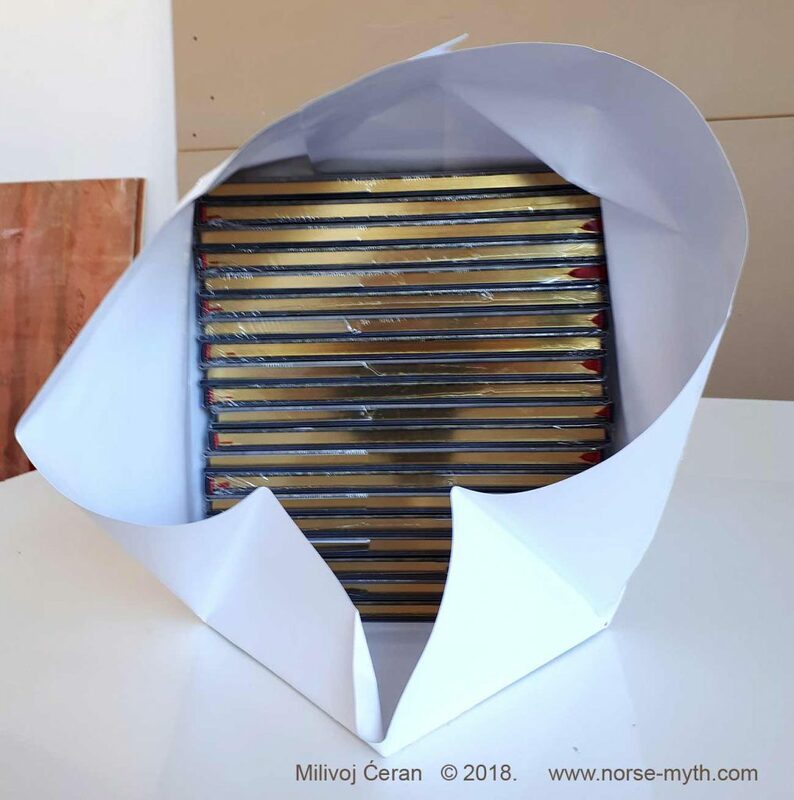 Yes, you heard it right 1000 kilograms of paper filled with Norse gods and mythology. Believe me, this shipment is huge! I didn’t know what does it means to get 600 books. Now I do. On paper it’s just numbers. In reality it’s heavy lifting, and trucks! Ok, it’s more than 600 books: there are a lot of sketchbooks, clam shell cases, prints, portfolios, small prints, calendars and bookmarks there as well. So basically everything went to higher level now. 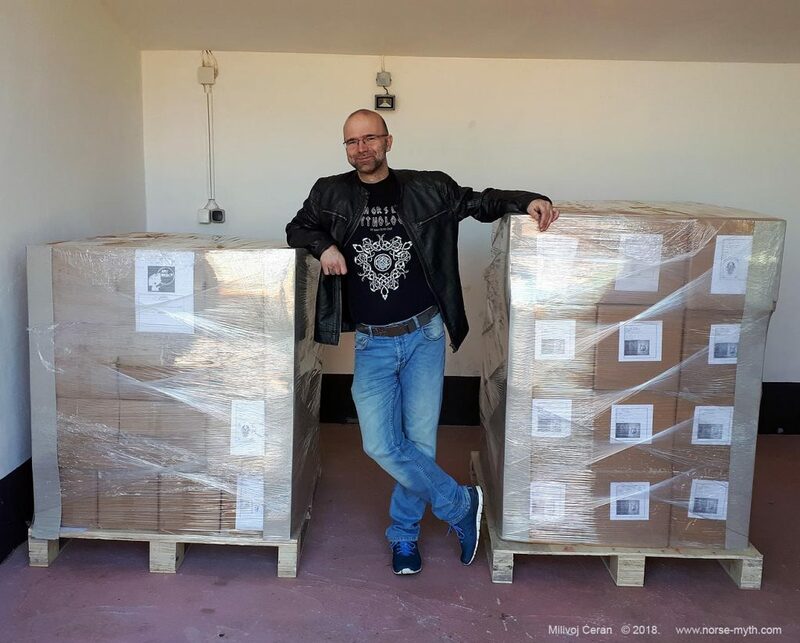 Those books are shipment sent to me, and this are NOT Kickstarter books. 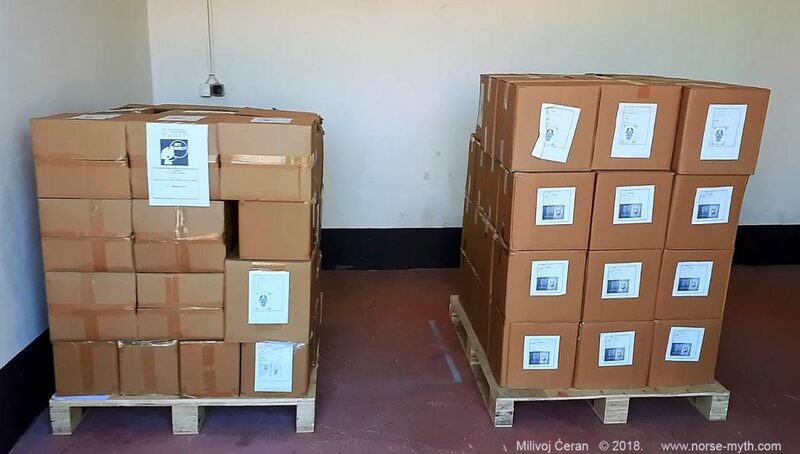 The Kickstarter books are being distributed by fullfilment houses in Hong Kong. Jon and ArtOrder LLC. are taking care of this. Jon will give you the fresh news and updates about the KS books. Stay tuned! But in this shipment I’ve also received those Kickstarter books that need to be remarqued and signed, for the backers who pledged that rewards. So when I make that signings and drawings, I’ll send them back to distributors for further transport. 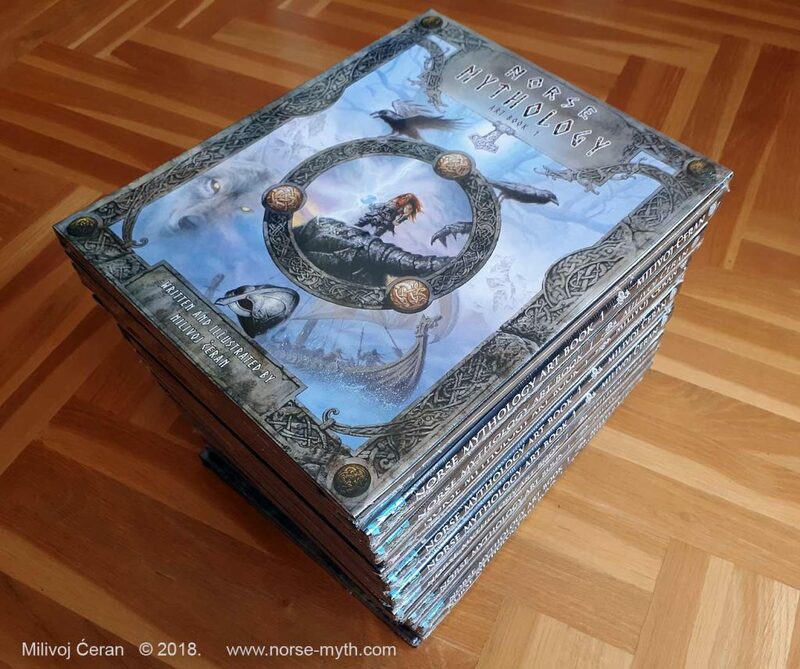 At this time, many of you are waiting for the KS books, and I would like to make sure that everyone is satisfied – especially people who backed the project during the campaign. If it wasn’t for you – the whole project would still be an unfinished pile of text and illustrations in my studio, and I really appreciate your support! In order to fulfill everyone’s orders, we had to split the shipment so that some would come to me to do signings and remarques, and the rest would have to go to the fulfillment center. The boat to Croatia left a little earlier, which was why I received my shipment earlier. This was hoped for because it meant that backers that got signings and remarques won’t be waiting much longer than the rest of the backers. Additionally, I also had books sent to me that were for me to sell the books through my website, at conventions and to spread my work further to the new audience. Becuase I am committed to my backers, I have chosen to wait with the internet sale of my books until I get the confirmation from Jon that the KS books are going out. I sincerely hope everyone will have their books soon! Thanks again for being so patient, and for your support, and stay tuned for more news !